An explosive story in which John Wayne plays on uncompromising engineer who has been set the task of driving a tunnel through the solid rock of the Andees [sic]. The adventure really starts when those who wish him to fail hold back vital supplies. 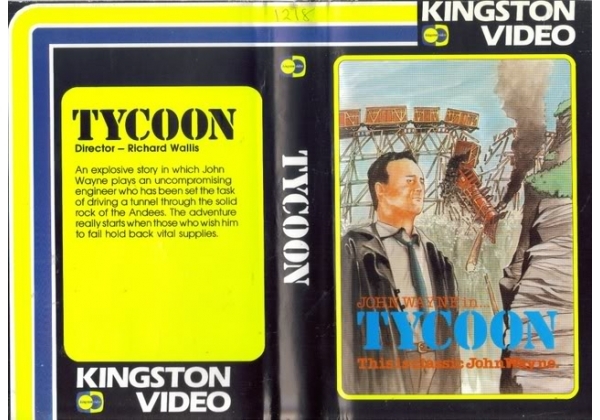 Or find "Tycoon (1947)" on VHS and DVD / BluRay at Amazon.